Among the nation's media — and therefore the political establishment and its organs of federal government — the first apparent terror attack in North America by a border-crossing migrant drew no curiosity or interest. 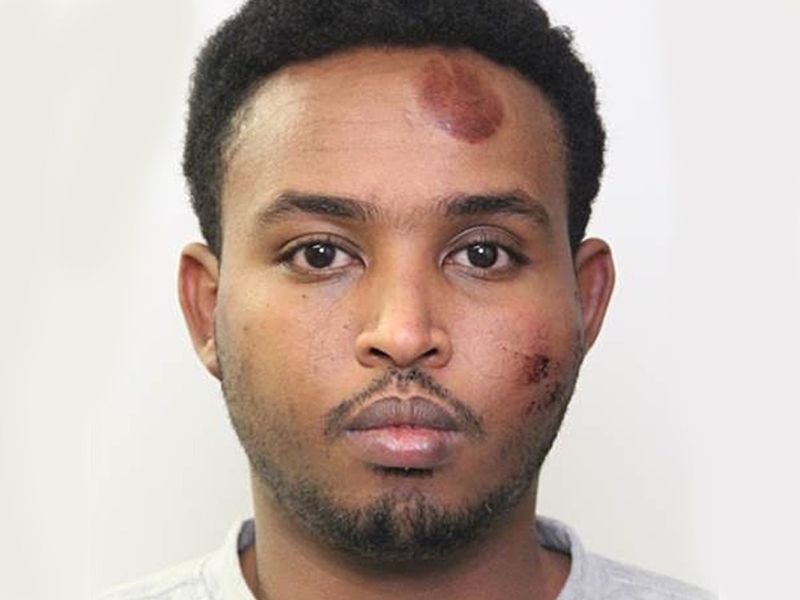 The September 2017 vehicle-ramming attacks by a Somali migrant in Edmonton, Alberta — and how he got there — almost surely would have disappeared into the ether of history had not the Center for Immigration Studies seen it as an important homeland security learning opportunity. My colleague Andrew "Art" Arthur and I were pretty much all alone in providing informed speculation and demanding answers to at least seven questionsabout how Abdulahi Hasan Sharif managed to be smuggled to the Mexico-California border and then, following mysterious interactions with U.S. immigration systems, still managed to successfully enter Canada as a lawful refugee a few years before his vehicle and stabbing rampage in Edmonton. (Sharif is set for trial later this year on five charges of attempted murder). Some answers finally came last fall, when CIS writings prompted Edmonton Sun reporter Johnny Wakefield to dig into the story. But still, no Americans seemed interested. Until, thankfully, now. Following an October 9, 2018, call by Arthur for a full DHS Office of Inspector General (OIG) investigation, the House Committee on Oversight and Government Reform has issued an official call for just that. More than one year has passed since the attack, and it appears there has been no comprehensive study of the incident. Therefore, the Committee requests the Office of the Inspector General investigate the circumstances that allowed Sharif to enter the United States, then Canada, and carry out the attack. A copy of the letter, now posted to the committee's minority GOP website, can and should be read here. This development is promising because a formal request for nonpartisan investigation now greatly increases the chances that the American public — and, as importantly, our agencies involved in border security — will be able to learn that special interest alien migration does indeed pose heightened risks that require unique mitigation efforts, as President Trump and DHS professionals consistently have argued, to much ridicule and dismissiveness, The knowledge collected from an OIG investigation would enable our agencies to better prevent other potentially malevolent special interest alien border-crossers from carrying out attacks on the homeland or against our close ally Canada. Beyond the obligation to our own country, we owe that much to Canada, much like Mexico owes it to us and on down the line of countries through which we now believe Sharif traveled. An OIG investigation is important because it portends the discovery of information that would go far beyond just the circumstances of the Sharif travel case; the committee letter is asking for what would amount to the first-ever accounting of an entirety of government handling of special interest aliens. These are processes with which I have found some fault in calling for "Eight Recommendations to Congress and the White House to Counter Potential Terror Travel to the U.S. Southern Border". All DHS policies, guidance, and communications issued between FY 2010 and FY 2018 regarding the vetting of special interest aliens at the border. All ICE investigations into special interest aliens who transited through Latin America and attempted entry through the U.S. Southwest border between FY 2010 and FY 2018. All interviews DHS components conducted in-person with special interest aliens between FY 2010 and FY 2018. All asylum fraud cases reported between FY 2010 and FY 2018 that involve special interest aliens and the disposition of those cases. All special interest aliens released by ICE pursuant to Zadvydas v. Davis between FY 2010 and FY 2018. (This refers to a precedent-setting case that required the release of Sharif from U.S. custody because he could not be deported in a timely manner). This investigation is sorely needed, not just because better homeland security practice is in the offing. But because the current national debate over special interest aliens and terror travel to the southern land border has swirled in a way that has left the American public befuddled and confused over what is real and what is not.